As you likely know, eBay is a website where you use your real financial details to pay real money in order to buy real goods. 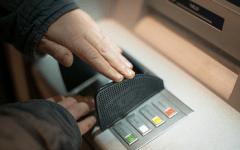 Therefore, you’re going to want to make sure that the password for your account is as strong as you can make it, in order to prevent anyone from breaking into your account and using your information and money to buy their stuff for them. To learn how to change your password, read below for our quick instructions, or scroll down if you need a bit more detail. 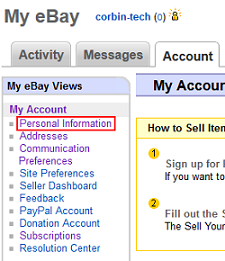 Go to www.ebay.com and sign into your eBay account. 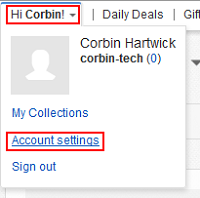 Move your cursor over Account Settings in the top-left corner, and click Personal Information. Next to the “Password” field, click Edit. Sign in again to verify your identity. Enter your current password, a new password (twice) and click Submit. 1. Visit eBay and sign in to your account. Go to www.ebay.com in your web browser and log in. Choose any web browser you like, but for this tutorial, we’ll be using Google Chrome. Move your mouse cursor over your name in the top-left corner, and click Account Settings. 3. 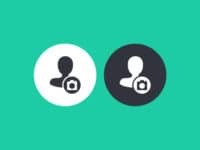 Find the menu to change your personal information. Click Personal Information in the menu on the left. 4. Edit your eBay password. Click Edit next to the “Password” field. 5. Enter your username and password again to verify your identity. For security reasons, you will be asked to log in again. Just type in your password (your username should already be filled in), and click Sign In. 6. Enter your current password and a new password, and submit the change. On the next screen, click in the box beside “Current Password” and type in your password as it is now. Then, click in the boxes marked “New Password” and “Re-enter New Password” and type your password as you want it to be into each of them. Then click Submit. NOTE: You can also click the drop-down menu labelled “Secret Question” and select a security question, and then click in the box marked “Secret Answer” and type in the answer. 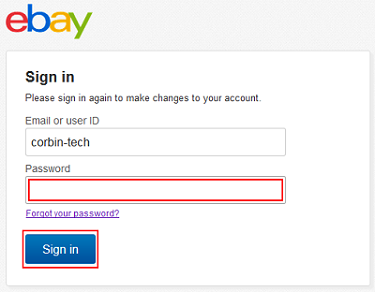 This can help eBay verify your identity in case you forget your password. 1. Don’t repeat old passwords; always come up with something new. It may be tempting to repeat old passwords, or even only change one minor aspect of your password rather than coming up with something new, but you should not do this. For example, if your password is “ilovecake” don’t change it to “ilovecake1”/”ilovecake2” and so on. You should also not just switch back and forth from “ilovecake” to “ilovepizza” whenever you need to change a password. Using old passwords is one of the worst tendencies people have when creating passwords. 2. Think random! Be sure to use length, complexity, and variety. Using random combinations of letters, numbers, and symbols is always better than using only words or only numbers. Remember to make your passwords long as well. In the very least use a minimum of 8 characters, but remember that every character you add above that makes it so much harder to guess or hack. A password with 12-15 characters is much stronger, especially if it has at least one number, one symbol, and one capital letter worked into it as well. 3. Don’t use easy-to-guess or common passwords. One of the worst things people do when creating passwords is use things that are easy-to-guess, and extremely common. Some of the worst offenses include “123456” or “654321” and so on, as well as “passw0rd” or “iloveyou.” Never use your birthday, anniversary, children’s birthdays, license plate number, or things that people can easily find out about you. Try coming up with a creative way to write a password for things you always do or use. For example, if every Friday you order the same pizza, you could create a password such as: 1XLP-bac-gpep-shroom (one extra large pizza with bacon, green pepper and mushrooms). If your favorite movie is Casablanca, try something like: Rick’sCafe*1942. Think of things you love and can easily remember, but get creative with how you write them. 4. Change your passwords often, not just when you’re required to. Only changing your password because someone has accessed your account is too little too late. It is wise to change your passwords every 3-6 months, or anytime you think it may have been compromised. 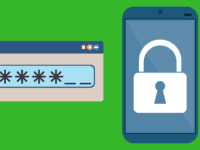 Never share your passwords with anyone, or indicate that you always use particular phrases or numbers for passwords, as this makes your password much easier to guess than you might think. 5. Think of a way to remember your new password without writing it down. One great tool you can utilize for this is a password manager website or app. These apps require only one password to access, but store your passwords for everything in one place. That way, you can make your passwords as long, random, and complex as you want, and don’t need to worry about forgetting them. 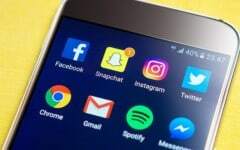 Just be sure to use an extremely secure password for this app, because if someone is able to gain access to it, they would also have access to anything personal or private. If you don’t want to use a password manager, there are some other tricks you can use to remember passwords without writing them down. Try coming up with something specific to the website or application you are protecting to help you remember it in the future. 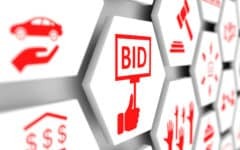 For example, if you were changing your password for eBay, you could consider including phrases such as “shopping,” “online,” “ecommerce,” “auction,” “bay,” and so on. There! You’ve changed your password for your account, and hopefully it’s stronger than before. If you need information on how to reset your password in case it has been compromised, be sure to read our next tutorial (click “Next Tutorial” below). 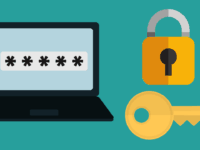 If you’re not sure if your password’s up to snuff, check out our How Secure is My Password article for tips on how to check the strength of current and future passwords that you use. 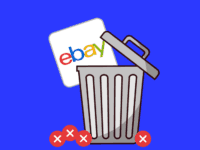 It’s also important to be aware of how safe and secure eBay is, so be sure to read our article on eBay safety . 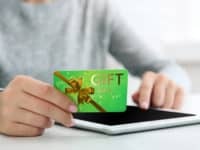 Is eBay Free to Use and How Does It Make Money?